Without the slightest doubt, DJI is one of the best drone makers in the world. They manufacture both commercial and hobbyist drones of great repute. The DJI Spark portable mini drone is one of a kind, so affordable and small, yet so feature-rich. 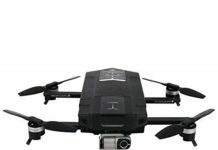 Any casual user searching for a perfect drone should consider the Spark. You will taste the difference in technology as compared to other big drones. You can use the Spark to capture high quality videos and photos even with no prior experience at using a drone. This drone has great features such as obstacle avoidance, great design and flying modes, which we shall look at later in detail. It is small, which makes it easy for you to carry it to the park or wherever you want to fly it. It comes in with switchable tops of different colors like green, yellow, blue, white and red. When you get your DJI Spark, straight away, you will notice its minimal weight and the small size. It measures 143 by 143 by 55 mm and weighs 0.67 pounds. This small size and weight also means that you will not be required to register the Spark with the FAA. This means you can carry this drone anywhere without feeling the weight. However, it may be light in weight, but it is not delicate at all, as you will see when you start flying it. It can withstand some abuse. Flying and landing a drone subjects it to a lot of bumping and vibration. 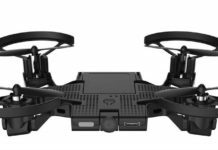 One feature about DJI Spark is its capability to avoid obstacles. This drone is able to avoid and sense objects just as the big drones do. DJI engineers built a very intelligent drone. However, note that the Spark can only sense close range objects/obstacles, furthest at 16 feet. Also, note that when Obstacle Avoidance is on, the drone will fly much slower. 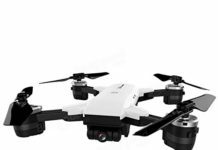 Besides its capability to avoid obstacles, DJI Spark has impressive flying modes. It flies in modes such as Helix, Rocket, Circle and Drone. In addition, this drone has the ability to recognize gestures. This gesture recognition allows the user to fly the drone without a controller or a Smartphone. You will love the TapFly feature where you just tap your smartphone and the drone flies towards the direction of the tap. 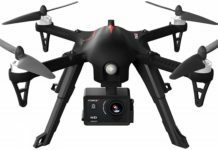 With the ActiveTrack feature, the drone is able to recognize differently shaped and sized objects and track them actively depending on what the objects are and how fast they are moving. You can also put on the DJI Goggles, switch the drone to Sport Mode and fly at high speed while you experience a world of color and amazing detail with the First Person View feature, which allows you to fly the drone with a pilot’s viewpoint. 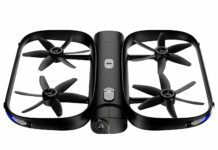 Any DJI Spark Portable Mini Drone review will show that one of its landmark features is the 12MP camera, which is capable of shooting 1080p videos. It is designed with a ½.3-inch CMOS sensor that enables the user to take high quality 1080p videos and great still photographs at 12MP. Because of the camera’s high sensitivity to light, it records colors accurately, capturing much detail. Another feature is the 2-axis gimbal, which is a mechanical stabilization feature designed to reduce the effects of rolling and shaking on the shutter thus keeping the shots and videos stable and rich in detail. Spark uses Lithium Polymer (LiPo) 1480 mAh battery. It takes 45 to 55 minutes to charge one or two batteries. You can charge these batteries using a micro-USB cable. If you are flying the drone in calm weather when there is no wind, then you can do about 16 minutes of flight with a full battery. However, this speed is gauged on a speed of about 12.4 mph. You can buy extra batteries and keep them charged to increase the flight time. I bought DJI Spark mini drone and I already love it. I cannot help wondering just how DJI were able to pack so many features in such a tiny wee-bit drone, but I love it. I am yet to fly it in the park in some wind, but I have flown it in my backyard and it is excellent. Ramsey N.
I use this drone to capture videos and photos of my family as we ride our bikes in the park. My children also love that they can use hand gestures to take selfies. It is the best investment that we made for this summer. Alice Q. My son has become the envy of the neighborhood crowd ever since I bought him the Spark soon after its launch. I love flying it with him and I am amazed at the quality of its videos and pictures. Anderson B.
I wish this drone came with longer flight time but as of now, I will have to do with 15 minutes. It is worth it though because the video and still quality is awesome. I intend to buy an extra battery or two though, so no problem there. Simon N.
Who Should Buy DJI Spark Portable Mini Drone? While it does take good pictures and videos, the DJI Spark portable mini drone is most suitable for hobbyists. Anyone can use it though because even beginners can use it to capture great shots like professionals without a big learning curve. 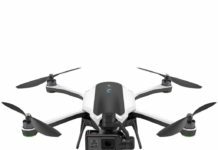 Features like Active Track and TapFly make piloting this drone a joy. 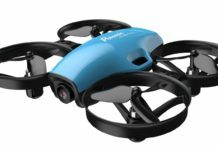 Whether you are a beginner or an advanced user, you will love flying this drone. 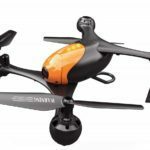 Small, nimble and incredible at flight and battery life, this is one of the best tiny drones from a renowned brand. You can buy it with confidence that you will have the best value for your money. Compared to other drones of it size in the market, the 15 to 16 minute flying time per battery is pretty impressive. 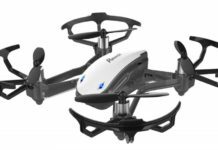 You can buy this drone to take your hobbyist videos and you can give the DJI Spark Portable Mini drone as a gift to a family member who is an outdoor enthusiast. It is sold with a carry case, so packing it in your backpack should not be any trouble. Be in control of your selfies, videos and photos.